The alleged middleman in Rs.3,600 crore AgustaWestland chopper deal, Christian Michel, was extradited to India late night on Tuesday, Dec 4 and produced in a CBI court today after questioning in CBI headquarters. The extradition procedure followed External Affairs Minister Sushma Swaraj’s discussions with UAE counterpart Abdullah bin Zayed in Abu Dhabi. The move is seen as significant because Michel is a British national being extradited to India from Dubai. The extradition operation code-named ‘Unicorn’, the CBI said, was carried out under the ‘guidance’ of National Security Advisor Ajit Doval and being coordinated by interim agency Director M Nageswar Rao. Both the Central Bureau of Investigation (CBI) and the Enforcement Directorate (ED) have filed cases against him. Michel was taken to CBI headquarters following a medical checkup after being brought to India. He reached the CBI headquarters at 1:38am, reported The Hindustan Times (HT). “Christian Michel James will be examined with respect to his involvement in the case and confronted with documents recovered during raids by Swiss Authorities and received by CBI through LRs indicating the bribes paid by Mr Christian Michel James to the Indian authorities for securing the contract for supply of VVIP helicopters from M/s AgustaWestland,” CBI said in a statement. 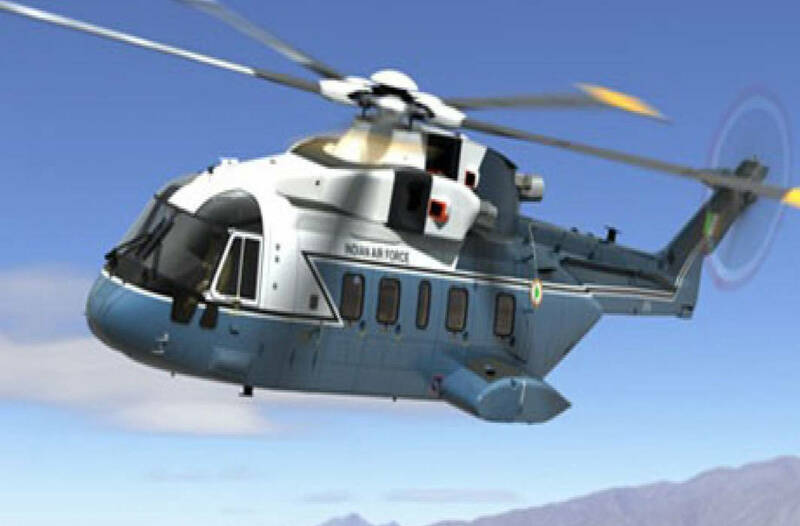 The AgustaWestland case involves the deal to purchase 12 luxury helicopters for use by the President, Prime Minister, former prime ministers and other VIPs, when Manmohan Singh’s Congress-led coalition was in power. The government scrapped the contract in 2014 amid allegations that AgustaWestland, whose parent company Finmeccanica faced charges of bribery in Italy, had paid kickbacks in India. Michel’s alleged involvement in the purchase of VVIP helicopters first surfaced in 2012. He was alleged to have entered into a criminal conspiracy with co-accused including the then IAF chief SP Tyagi and his family members, and government officials all of whom had abused their official positions by reducing the service ceiling of the VVIPs helicopter from 6,000 metres to 4,500 metres. Michel is one of the three middlemen being examined in the case, along with Guido Haschke and Carlo Gerosa. Michel is wanted for commercial fraud, bribery and money laundering in connection with the deal. The Enforcement Directorate has accused Michel of receiving 30 million Euros (about Rs. 225 crore) from AgustaWestland as kickbacks. Michel has refuted the allegations. Michel was arrested in the UAE last year on the basis of an Interpol notice and was out on bail. In July, Michel’s lawyer alleged that he was being pressured by Indian agencies to frame Congress leader Sonia Gandhi in return for amnesty from criminal proceedings. On August 26, UAE had asked a court on the possibility of extraditing a British national to a third country. The court said a few days later that extradition is possible. On November 19. Dubai’s highest court approved India’s request to extradite Michel, subject to the move being approved by the UAE’s justice minister. On Monday, the Dubai government passed an administrative order to enable Michel’s extradition. Officials said Swaraj’s presence in Dubai for a meeting of the India-UAE Joint Commission helped push the process. Alleged irregularities in the AgustaWestland deal were repeatedly raised by the Bharatiya Janata Party during its successful 2014 general elections campaign. Michel’s extradition comes at a time when the Opposition has been targeting the government over a deal for the purchase of Rafale combat aircraft. The BJP said the extradition in the case from the UPA era is a diplomatic victory for India and could spell “serious trouble” for the Congress’s “first family”, referring to Gandhis while at the same time asserting that the development was an unequivocal affirmation of the Narendra Modi government’s seriousness in fighting corruption.